What are Community Development Corporations and what is their role in your community? In this episode of Courting Justice, host Ashley Caveda speaks with Mike Bowling from Englewood CDC and David Cederquist from Brookside CDC, along with Clinic Executive Director Chris Purnell. Together, they address the above questions and share their stories of relational ministry within their communities, as well as the pitfalls of gentrification and how true community development can combat them. In 2011, according to the Coalition for Homelessness Intervention & Prevention, 24% of all people experiencing homelessness were under the age of 24. In 2014, there were 354 homeless youth just in the Indianapolis area alone. What are the causes of youth homelessness? What are the unique challenges faced by homeless youth? 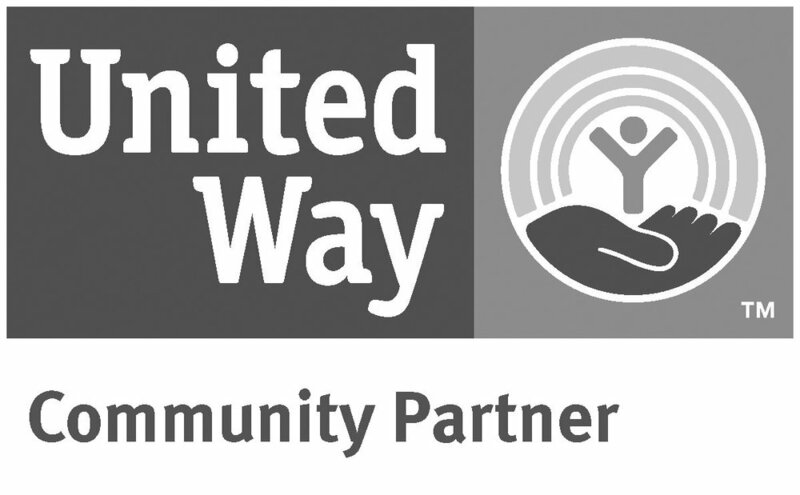 And what services are available to assist those in need? According to Brackets For Good co-founder, Matt Duncan, fundraising should be fun! How has the Indianapolis-based charitable organization helped to transform the landscape of nonprofit fundraising? What role does innovation play in the future of fundraising? What are common misconceptions about the IRS? What tips do you need to know to avoid tax scams? And what can you do if you become the victim of a tax scam or identity theft? In this episode of Courting Justice, senior staff attorney and Director of the Low Income Taxpayer Clinic Dee Dee Gowan joins Betsy Isenberg, Director of the Consumer Protection Division at the Office of the Indiana Attorney General, in answering these questions. Who is protected by Fair Housing laws? What are the most common misconceptions people have regarding their landlord/tenant rights? What can you do if you face a housing issue of some kind? 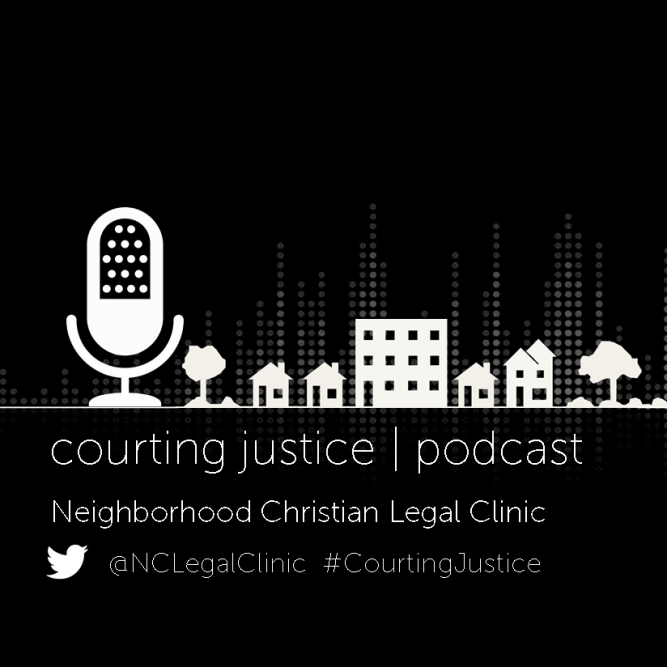 In this episode of Courting Justice, Executive Director of the Fair Housing Center of Central Indiana Amy Nelson and Neighborhood Christian Legal Clinic Staff Attorney Chase Haller answer these questions and share their expertise. What kinds of things might bar a refugee or immigrant from entering the United States? What is our obligation as a UN nation to helping refugees? And what role does faith play in providing services to them? In Part 2 of our special two-part series on Immigration and Refugees, Director of Outreach & Immigration Services at Exodus Refugee Megan Hochbein and Immigrant Justice Program Staff Attorney Rachel VanTyle answer these questions and share some of their favorite moments working with refugees. What exactly is a refugee? What kinds of screening processes do refugees undergo before entering the United States? What barriers do they typically face and what kinds of services are available to help them integrate into our community? Join host Ashley Caveda for Part 1 of our special two-part series on Immigration and Refugees. She discusses common questions and misconceptions regarding refugees with Director of Outreach & Immigration Services at Exodus Refugee Megan Hochbein and Immigrant Justice Program Staff Attorney Rachel VanTyle. What considerations must be made when working with victims of violent trauma? How can service providers help them feel safe and empowered? What are the potential pitfalls? Join host Ashley Caveda as she discusses these questions, the long-reaching effects of trauma, and more with Legacy House Executive Director Michael Hurst and Victim Justice Program Immigrant Advocate Noemí Gallegos. What is Justice? Who has access to it? What are the community-wide financial and emotional repercussions when Justice is not served? Join host Ashley Caveda as she discusses these questions, the Clinic's most memorable clients, and more with current Executive Director Chris Purnell and founder and former Executive Director Abby Kuzma.